Happy Monday! I hope you all had a wonderful weekend! We finished off the girls' spring break by making a Target run so they could get Icees, momma could get a Starbucks, and we could all get out of the house after spending Friday morning deep cleaning the house. I also accomplished quite a few home projects over the weekend, went on a field trip to the zoo for work, and enjoyed time with my family. 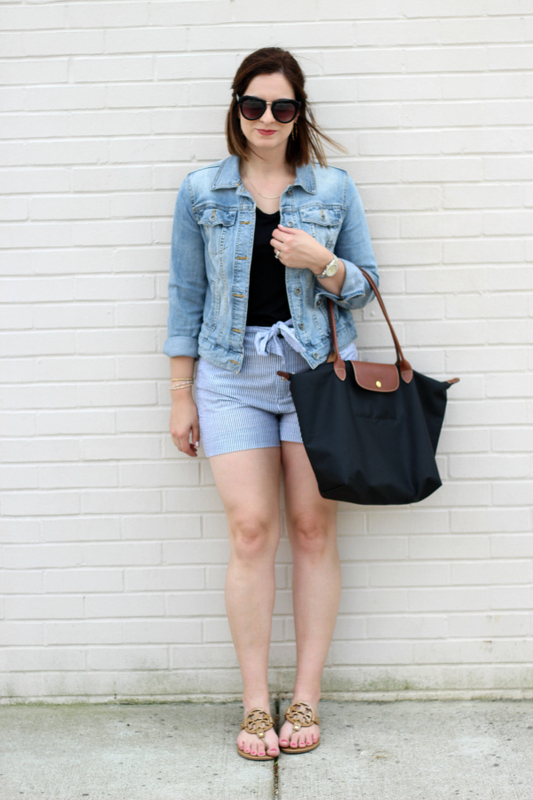 Today, I'm sharing a preppy look featuring these adorable Ella Pincord Shorts from BohoBlu! 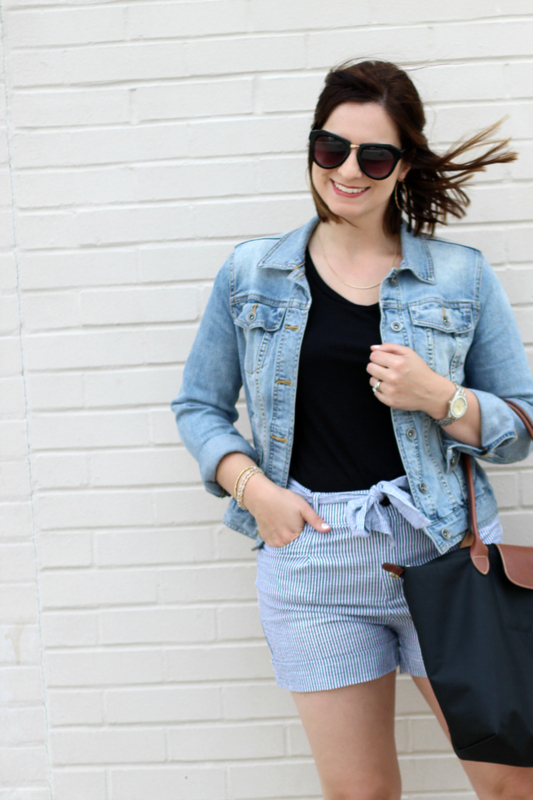 I'm a Southern girl so I love pops of preppy in my outfits. 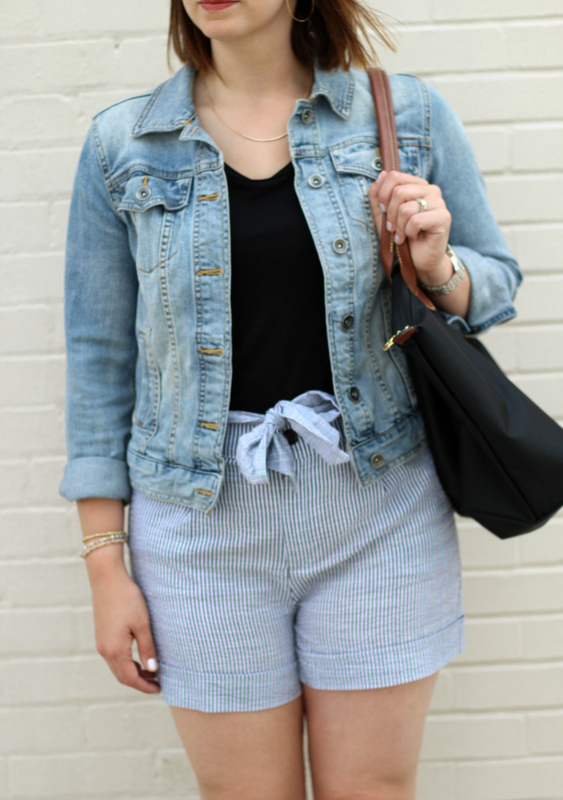 These pleated pincord shorts are perfectly high waisted and come with a fun tie to complete the preppy look. I'm wearing a size small in these shorts and I typically wear a numeric size 4 in shorts. 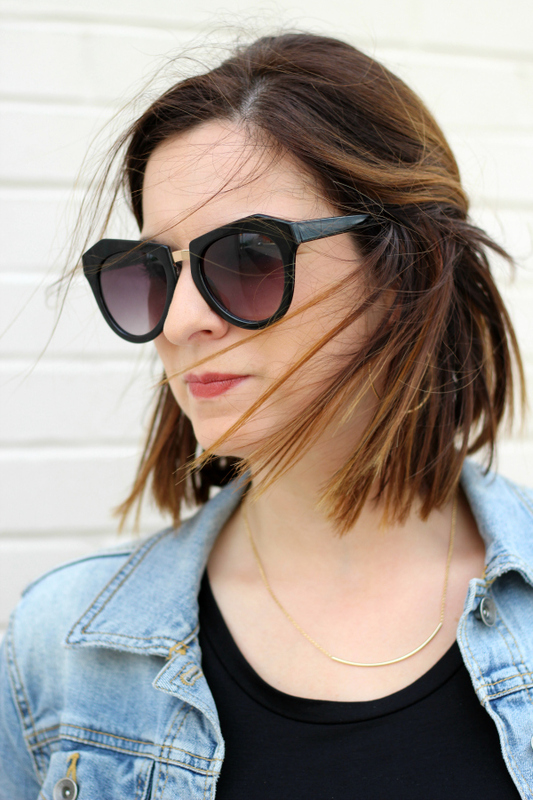 I styled them with a black tulip tee, denim jacket, neutral sandals, a dainty gold necklace, black tote bag, gold hoop earrings, big sunnies, and a cute beaded bracelet. 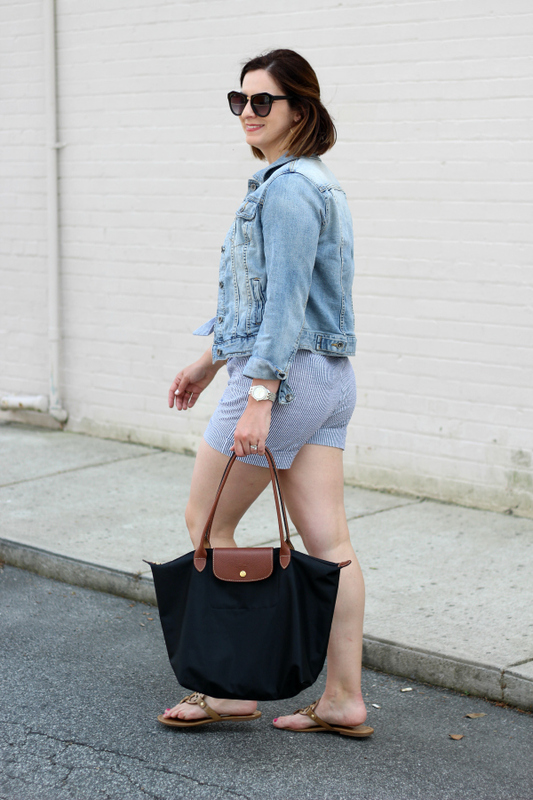 I think this is the perfect spring weekend look for a farmers' market run or out to brunch with friends! Thanks so much for stopping by! Have a great day, y'all! These are such cute shorts! So glad you had a great end to your spring break. 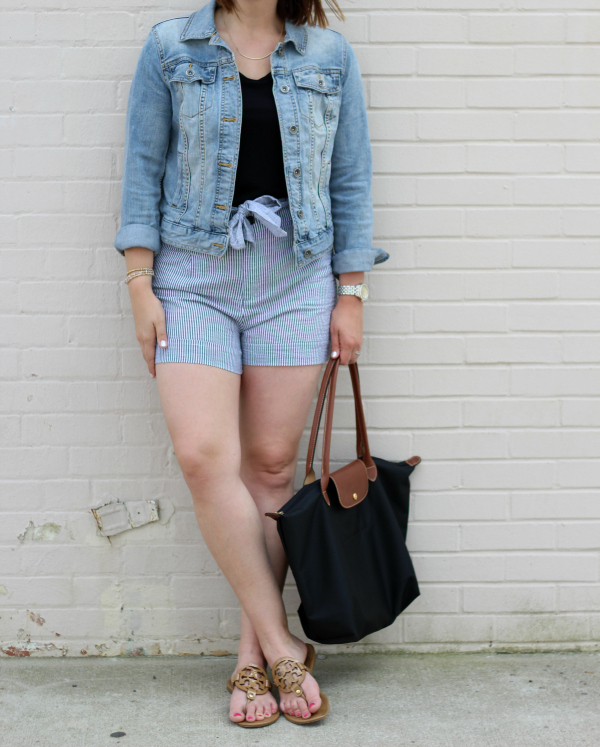 Those shorts are so cute on you! Love this look! 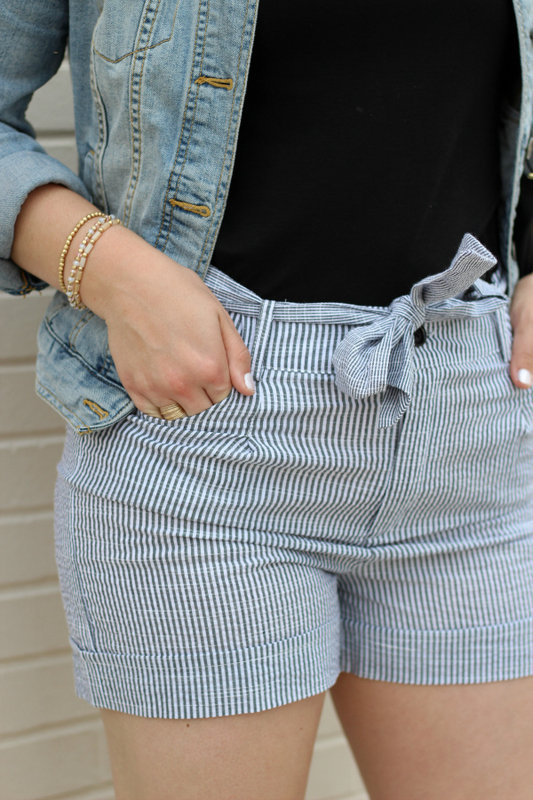 Love the fabric of the shorts! Super light and comfortable for summer heat! I love the shorts! You are rocking this outfit!